Many thought that had Rowling called an election, he might have won on a wave of sympathy over Kirk’s death. New Zealand weathered the worldwide economic crisis better than some countries. But National’s Robert Muldoon labelled Rowling’s policy of borrowing to keep people and industry working ‘borrow and hope’. Muldoon also portrayed Rowling as weak. He was not, but Muldoon’s mastery of the media and energetic campaigning gave National 23-seats more than Labour in 1975, exactly reversing Labour’s 1972 majority. Rowling rebuilt his party but luck eluded him. Despite impressive personal campaign performances, in both 1978 and 1981 Labour outpolled National but won fewer seats. In 1983 a frustrated caucus replaced him with the charismatic tyro, David Lange. 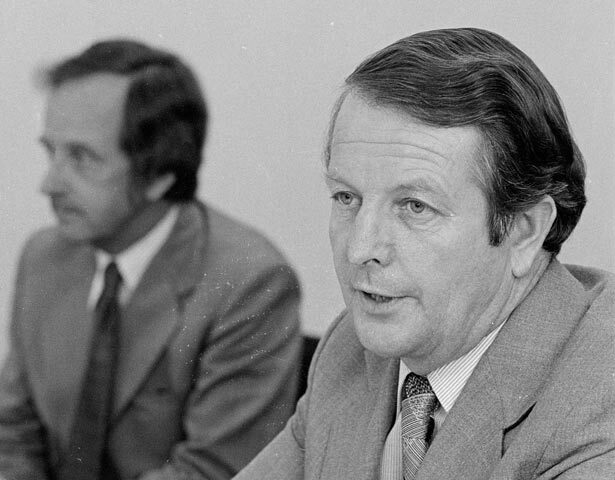 After leaving Parliament in 1984, Rowling (later knighted) served as ambassador to the United States and played a prominent role in creating Te Papa. We have 1 event in history, 40 biographies, 5 articles, related to Wallace Rowling.